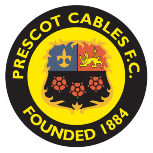 Founded in 1884, Prescot Cables FC are older than Liverpool and younger than Everton and still going strong, and play in the Northern Premier League Division One North. Regular home games are held at Valerie Park, and as a community club, Cables regularly lets out its facilities for meetings, functions and other events. The grounds are the site of the annual Prescot Cables Beer Festival, showcasing about 25 ales, plus ciders, for one weekend each March.